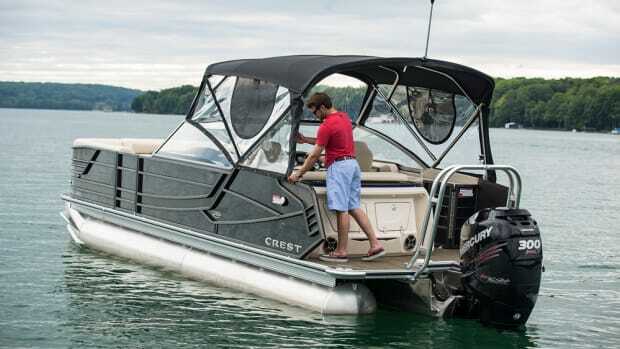 Crest Marine is partnering with SeaStar Solutions to include SeaStar’s Optimus EPS electronic power steering. Simrad GO5 XSE multifunction displays will be offered as the standard navigation system on all 2017 Caliber, Classic, Caribbean, Continental and Savannah boats. Crest Marine’s Continental model was named best luxury model for the second consecutive year.